What makes Finland a good country for thriving in? Sceptical minds might even raise an eyebrow or two. Is it possible for an outsider to develop personally and professionally in Finland given its unapologetically hard-to-break-through culture, unfriendly climate, high taxation and impossible language? The answer is yes, a bold and loud yes. As long as you’re persistent and committed to your dream and values, Finland will reward you in countless ways and always give you reasons to come back. Everyone gets an equal start in life. Access to free, high-quality education is available to all European residents placing Finland second on top of countries with the highest literacy rates (link below). Good education creates new jobs, brings prosperity and competitiveness, and contributes to innovation. Compared with countries where learning and developing new skills are more or less encouraged by the society once you reach adulthood, Finnish adult learning centres offer an incredible selection of great courses so you can continually improve and make yourself more employable. Empowerment through education is not just another fancy concept, but a way of life in Finland. Its core values are honesty and trust. Finland is a country that nurtures communication based on respect and honesty in all situations. Trust enlarges towards many directions. You trust the education system to provide your children with a healthy development and hope for the future. You trust officials to do their best when you’re in need. You trust the government to look after its citizens’ interests. And you trust your business partner without requiring a signature. This leads to an efficient society with low levels of corruption. A strong sense of gender equality. Finnish dictionary has one word for all genders: hän, and that’s because Finland is one of the pioneer countries to encourage gender equality. Women here are highly respected and given equal chances to state their opinions, express themselves and climb the ladder without compromising their values and beliefs. The work culture values dedicated individuals but doesn’t allow burnout. What strikes positively about the Finnish working culture is that power and flexibility are well distributed. Having no rigorous hierarchy at a workplace means that communication is clear and straight-forward. There is a lot of freedom and flexibility in performing tasks that allows you to engage in various activities and spend more time with family. The Finnish work culture is all about quality, rather than quantity. An open and supportive international community. Once you set foot into Finland, it’s almost impossible to go unnoticed by the international community. You’ll receive constant support from both Finns and other nationalities as you navigate your way through life. People are reliable, trustworthy and very often mean what they say. You are free to be whoever you want to be. No need for wearing false masks, formal and boring clothing or desperately trying to impress while you’re in Finland. Finns are known to be laid-back and reassure others to be themselves. They rarely care about external appearance. Instead, they want to know more about your character and skills. Home to start ups and innovation. The entrepreneurial culture is on the rise and signs of it are everywhere. Young, enthusiastic minds carrying a relatively short work experience can find great opportunities and support to demonstrate their talents and get new skills. Finland is open to new, unique and innovative ideas and inspires everyone to dream big and aim high. If your approach is genuine and your business model is transparent, reliable and deliverable, you can succeed in creating your own business here. There is a lot of space to perform new business ideas and get approved by the locals as well. Finland provides an environment that is ripe for the design and development of simple, beautiful services that make sense and work together. Perhaps the most significant benefit of living in a stable, low-stress country is having the freedom of mind to explore your potential and creative endeavours. You can put them in practice by volunteering your services, attending workshops and various events or by merely networking within the community. Since Finland is a non-aggressive country, collaborating with and learning from others may be just what you need to improve your creativity. Some of the downsides of living in Finland are the winter’ darkness that can dramatically lower your mood, few jobs for immigrants or getting a permanent work contract. But if you can see these challenges as opportunities to develop awareness, think rationally and call upon others for help, you’ll soon learn that Finland has your back. It won’t allow the fall to damage your overall wellbeing and place in the community. A clean and well-preserved nature works miracles in our daily lives, and Finns know all about it. In fact, they’re eager of reminding and showing others the scientifically proven benefits of spending time outdoors, whether that means contemplating the majestic Finnish sky in silence or swim naked in a nearby lake. The authentic and robust connection that Finns have with nature inspires to cultivate awareness and protect our natural environment. 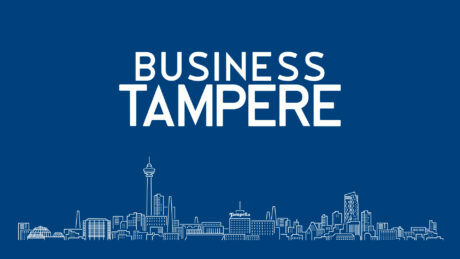 TalentTampere.fi -sivustolle on koottu ensi käden tietoa Suomesta ja Tampereen kaupunkiseudusta, sekä tärkeää viranomaistietoa, jota jokainen kansainvälinen osaaja tarvitsee päästäkseen alkuun.